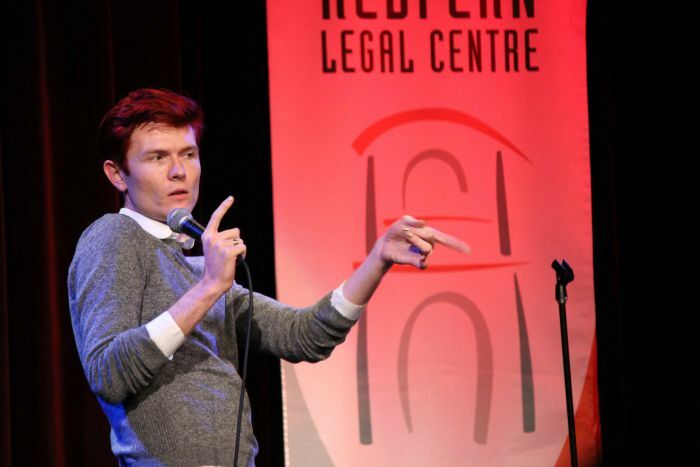 A whole host of Australian comedians teamed up for a big night of laughs to support NSW’s oldest community legal centre. 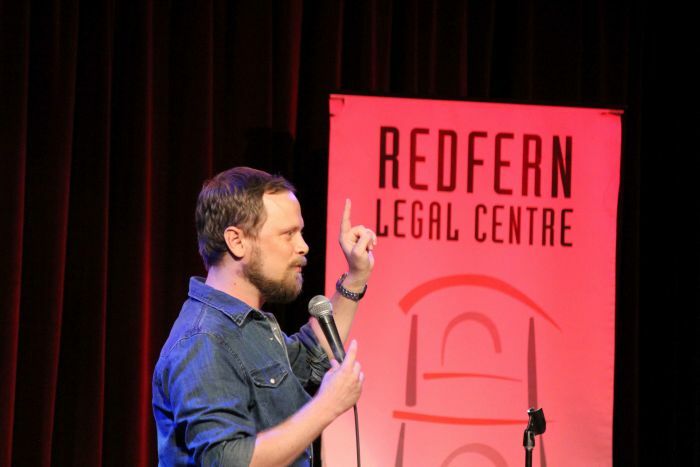 Redfern Legal Centre’s 40th Birthday Comedy Show was held at Giant Dwarf Theatre on March 8, with over 270 guests attending the sold-out event. For the last 40 years, Redfern Legal Centre has been at the forefront of providing legal assistance to the most vulnerable in our community. 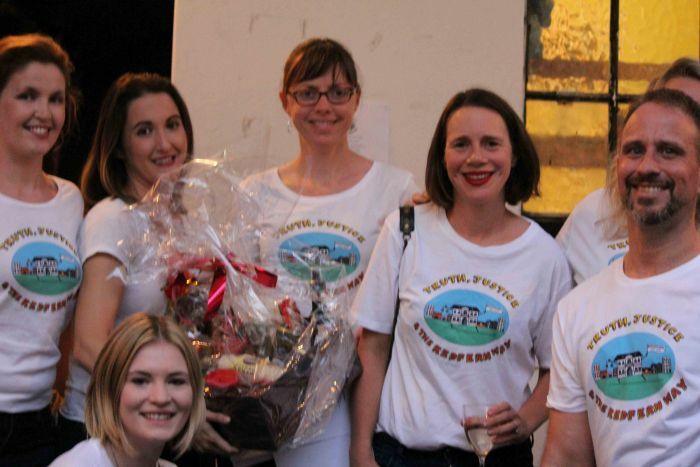 It was the first community legal centre established in NSW, and the second Australia-wide. Since 1977, RLC has remained a leading advocate on social justice issues, recognised nationally as a trusted provider of quality free legal advice and community education, and as a powerful voice in the fight against inequality. The big night of laughs kicked off in the early evening with a mix of old friends and new mingling in the theatre courtyard, enjoying delicious nibbles from Egyptian street food vendor, Koshari Korner. Among the audience were many members of the ‘RLC Originals’ – volunteers and staff who founded the Redfern institution back in 1977. Many people in the crowd sported eye catching RLC T-shirts, emblazoned with the words: ‘Truth, Justice and the Redfern Way’. Two of Australia’s hottest comics headlined the night. 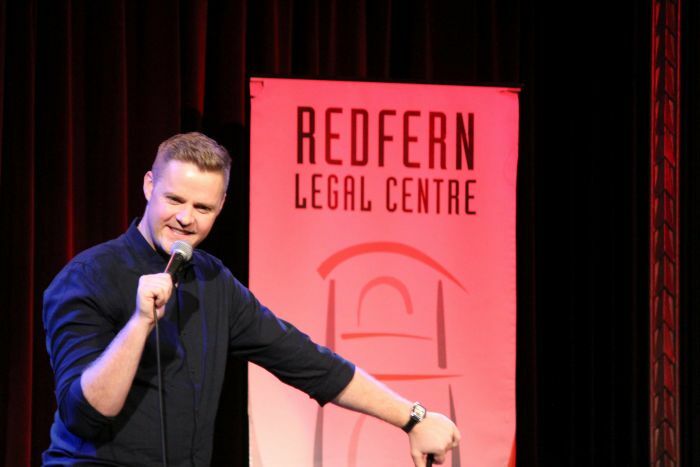 Tom Ballard, one of Australia’s most high-profile comedians, is a household name thanks to his regular appearances on national TV and radio. Rhys Nicholson has gained a similarly high profile, and is internationally regarded for his appearances at festivals including the Edinburgh Comedy Festival. Texan-born comedian Joe Shaffer emceed, overseeing a diverse line up of comics that included Jen Carnovale, Fran Middleton Comedy Person, Cameron James, Stephanie Broadbridge, Craig Quartermaine and Frida Deguise. The event was held on International Women’s Day, making the presence of many strong female comics particularly pleasing to see. All comedians delivered side-splitting sets that touched on a broad range of social issues and included a few friendly jabs at the lawyers in the audience. 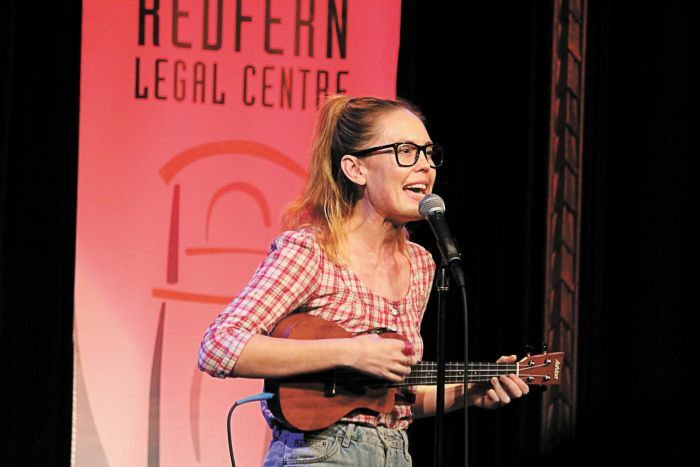 “We were absolutely delighted to have such an incredible line up of comedic talent coming out in support of Redfern Legal Centre,” Joanna Shulman said. Finn O’Keefe is Communications and Volunteer Manager at RLC.